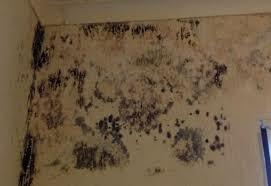 Theres a Call For Action on Mould in First Nations Homes. Northern NDP Members of Parliament are calling out the Liberal government for being asleep at the wheel when it comes to mould in First Nations homes. They state mould in on reserve housing has been an invisible crisis that the government has known about since at least 2003 when the Auditor General blew the whistle. Churchill Keewatinook Aski MP Niki Ashton says it is an issue in northern Manitoba and while the Prime Minister talks about reconciliation his government’s actions show otherwise. She adds we are talking about unacceptable living conditions and the government must act now. Desnethe Missinippi Churchill River MP Georgina Jolibois notes people have stopped reporting the mould in their homes simply because they know nothing will be done about it adding homes in the north are being built to standards in the south but there are very different climate and housing needs adding we have solutions and need funding not new studies.